At the beginning of the year, writer and Renaissance woman Paloma Martinez-Cruz kicked off our Proyecto Latina Reading Series. Her book Women and Knowledge In Mesoamerica: From East L.A. to Anahuac had just been published. In this long over due interview, I’m happy to have finally carved out the time to revisit my conversation with Paloma about the importance of her book and share it with you. Whether you’ve seen Paloma read her writing, doing a performance piece or whipping out her guitar and singing at Proyecto Latina there is no doubt she is a blazing creative bonfire and her book is a reflection of this. The book’s focus is on Mesoamerican knowledge traditions and why don’t we have access to them? “It’s important to know ourselves as knowers and not always having to cut and paste from European traditions and values. 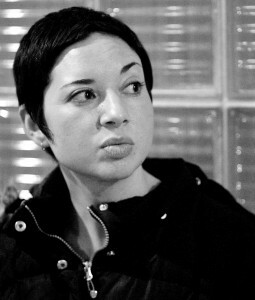 It helps us find our alignment and have a connection to our past,” says Paloma. What Paloma discovered in her research was that in Mesoamerican knowledge traditions there is a different way to value knowledge and share it with the community. The spiritual connection to nature is put in higher esteem than the self. Things like ambition and ego are considered pathology within these communities. I asked Paloma how she manages being a professor, a writer and a mom and with that marvelous laugh of hers she says, “I managed it como loca!” Having a son you are always a mother even if your child is not in the room. It’s the same when you’re working on a book. You’re always working on a book even if the book isn’t in the room with you, you’re always kind of processing it,” says Paloma. Academically the book paves the way for other Latinas in higher education trying to document and create conversation of knowledge traditions along with its impact on today’s generation. It’s a must have for anyone an interest in gender, Chicana, Latinas, Women, Mesoamerican traditions. 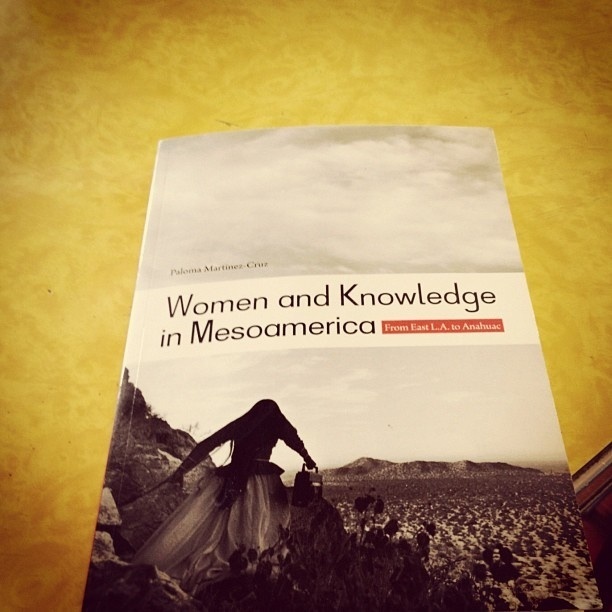 Read more on Women and Knowledge In Mesoamerica: From East L.A. to Anahuac.